If you need to make eggless cookies for someone, such as my husband with an egg allergy, these are the perfect ones. Honestly, I can eat eggs and I look forward to these! They’re just perfect to me. I use a cookie scoop for even proportions, which will give you even baking results. I put them on parchment paper on top of metal pans; I use AIRBAKE pans. They freeze well too, but are best fresh. 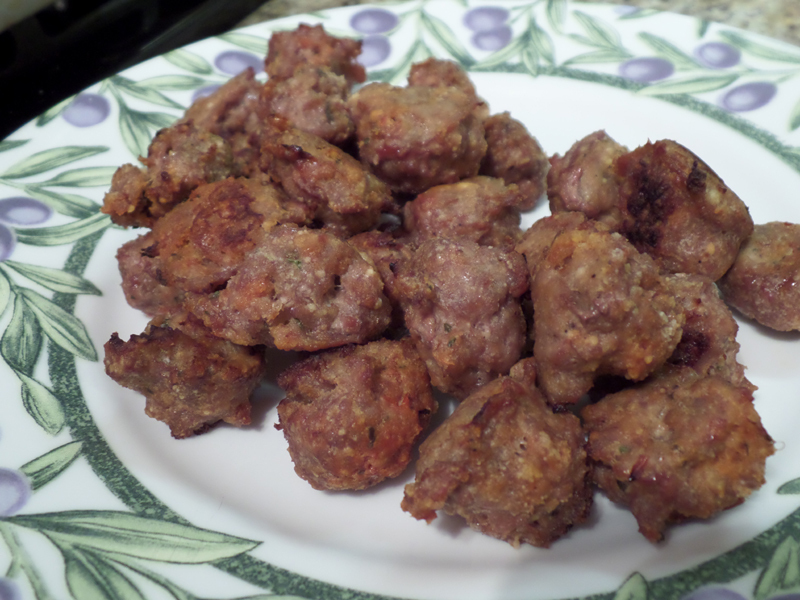 I’ve made a double batch of the recipe below and it works out great for a big crowd. The mixer works great here to mix the butter/sugars. Preheat oven to 350° F. (Use convection mode if you have it, it works well for us). In a large bowl, with a handheld mixer or a stand mixer, set on medium speed, cream butter and BOTH sugars until fluffy, about 2 minutes. Slowly mix in flour and baking soda. Add vanilla, oil, and water. Mix until completely combined. With a spoon, fold in nuts, if used, and chocolate chips. 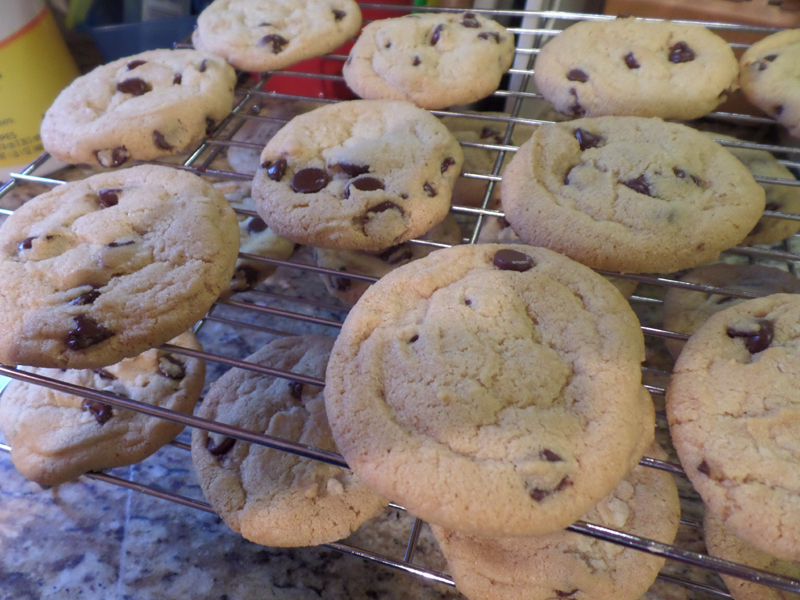 Using a cookie scoop, drop on cookie sheets (or parchment paper on top of cookie sheets), spacing the cookies 2″ apart. Bake for 8-10 minutes, watch closely for when they turn light brown. Then remove with a spatula and transfer onto wire racks and cool. 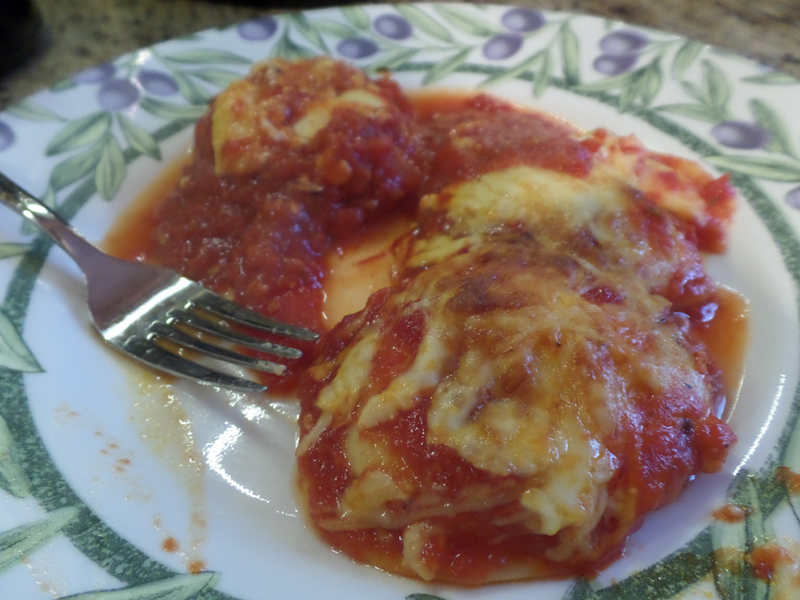 This is an awesome recipe that tastes as good, or better than the restaurant. Since I have to avoid the fresh garlic and onion, I put ALL of the first seven ingredients in a pan and just started cooking, substituting onion and garlic for onion and garlic powders. I proceeded to step 5. It turned out just great. A+! Add the onion and garlic, and season with salt and pepper, cook, stirring occasionally, until softened, about 5 minutes. Add the thyme or oregano, and tomatoes. Bring to a boil, reduce heat, and simmer, breaking up the tomatoes with a spoon, until the sauce is thickened and reduced to about 5 1/2 cups, 20-25 minutes. Meanwhile, cook the ravioli in a large pot of boiling salted water just until they float to the top. Drain the pasta, return to pot. Toss the sauce with the pasta. 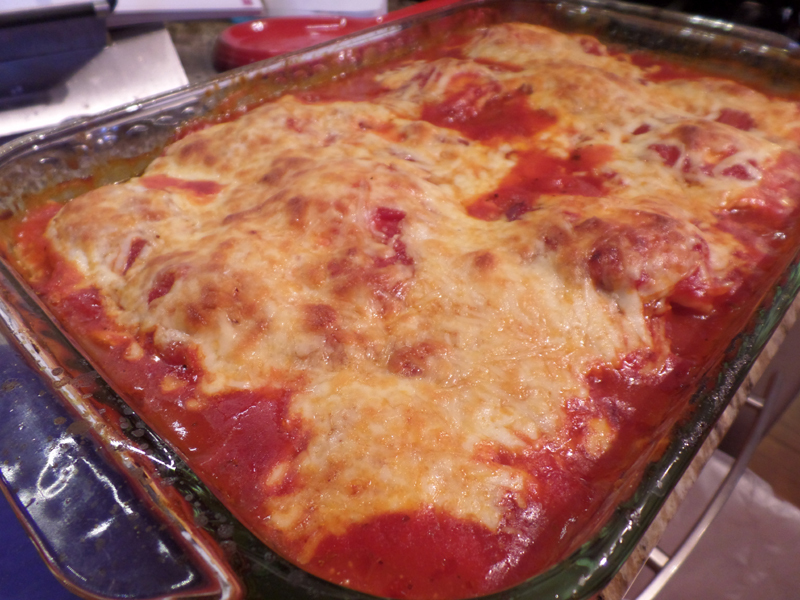 Pour the pasta into a large dish or 9×13″ baking dish, and sprinkle with the cheeses. Bake until golden, 20-25 minutes in oven. Cool slightly before serving. I haven’t uploaded a recipe in a while, it’s been an extremely busy few weeks of school and life. 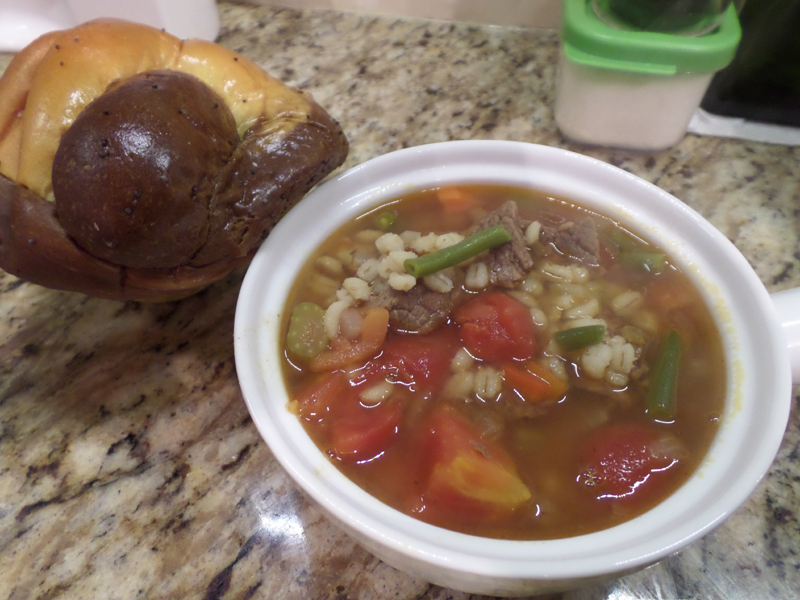 This is a wonderful soup, it’s hearty and tasty. It’s filling with the barley. Feel free to add more veggies, including your favorites. It’s actually best on day two and beyond. In the summer, we’ve actually grilled the meat and then sliced it up and put it in the soup! FEEL FREE TO ADD: dried oregano, pre-cooked green beans (we did! ), or any other veggies, or more of the mentioned veggies! In a large soup pot, combine beef, onion, celery, green pepper, carrot, and tomatoes. Cook over med-high heat, stirring constantly, 3 minutes. Add bay leaves and broth, bring to a boil. Stir in barley, continue boiling 5 minutes. Reduce heat to medium, cover and cook 1 hour. Stir and check liquid level frequently. This is a wonderful breakfast treat. I didn’t have enough Golden Del. apples on hand, even though I planned well, so I used 3T. butter instead of 4. It turned out flavored like apple pie, mixed with an omelet, and a pancake. It was awesome. I suggest eating it on day 1 though, that’s when the flavor and rise was the best. Within 30 minutes it falls to a thin height and won’t be as attractive. **To make this IC safe, at least remove the cinnamon, possibly the vanilla if it bothers you. Whisk milk, eggs, sugar, vanilla, salt, and cinnamon in large bowl until well blended. Add flour and whisk until batter is smooth. Place butter in 13×9-inch glass baking dish. Place dish in oven until butter melts, about 5 minutes. Remove dish from oven. 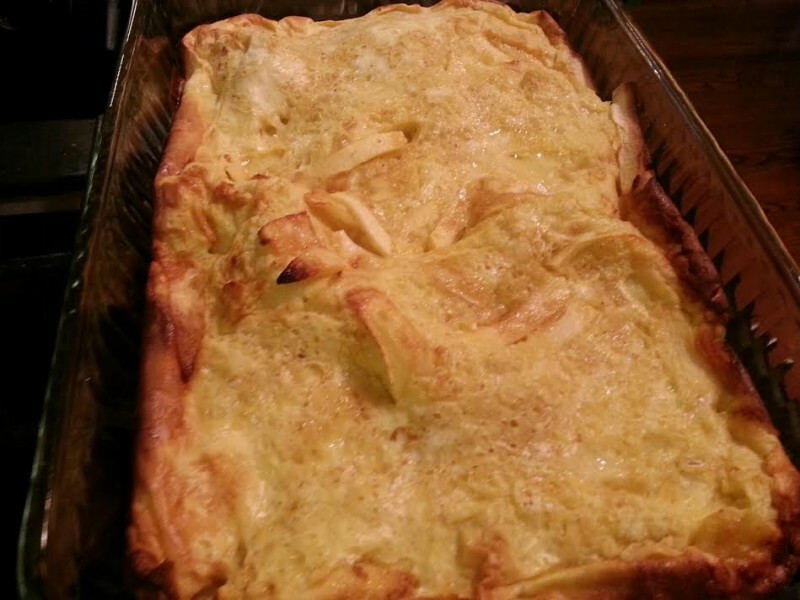 Place apple slices in overlapping rows atop melted butter in baking dish. Pour batter over apples in dish and sprinkle with brown sugar. Bake pancake until puffed and brown, about 20 minutes. Sprinkle with powdered sugar, if desired. Serve warm. **Some IC sufferers do not tolerate onion well, tread carefully! Mix all ingredients together without over-mixing meat to make it tough. Spray cookie sheet or spray aluminum foil on cookie sheet. 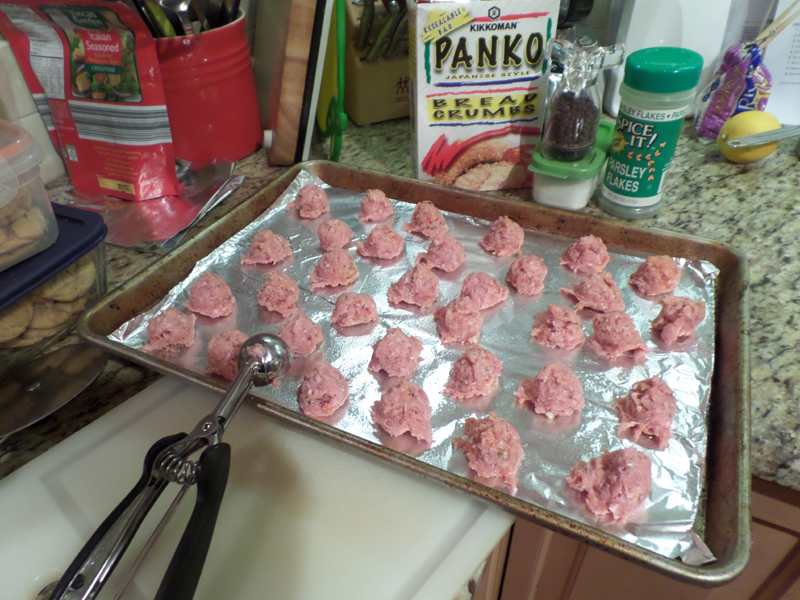 Use a cookie scoop for best uniform results, or estimate with a spoon, and scoop meat mixture into round balls, place onto cookie sheet. Spray the tops of meatballs with cooking spray, flip, and cook an additional 20-25 minutes until meat registers safe with a cooking thermometer (165° is safe).